Arabic translators will always ensure their English to Arabic translation files will display correctly on their clients’ computers. 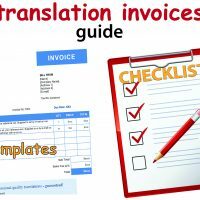 However problems can arise if clients then make changes to those files, or attempt to use the Arabic translation elsewhere. The text display can change, and be incorrect. This can happen even when making minor formatting adjustments, or simply copying and pasting text to another application. This article identifies the five most common display issues that can arise, and explains why they happen. 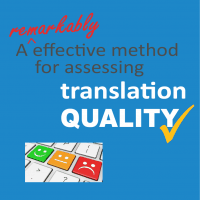 And that leads us to recommendations for clients on how best to handle their English to Arabic translation projects. 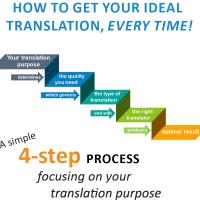 – This article focuses on display issues with English to Arabic translation, but is equally applicable to translation into other right to left languages – Farsi, Hebrew, Urdu, etc. – There are also a number of specific issues related to typesetting Arabic text, and that of other right to left languages, in graphic design programs. 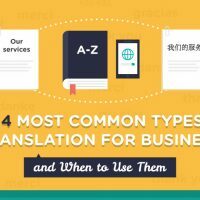 We discuss these briefly on our Arabic translation services page. There is a relatively limited number of English fonts that can correctly display Arabic text. One way to check this is to use the Insert Symbol function in Word. Selecting the font name and clicking on the Subset arrow will reveal if the font includes the Arabic character subset – see graphic. Without this the font can’t display Arabic text. Only certain fonts can be used for English to Arabic translation. Here we see Verdana can display Greek and Russian, but not Arabic. This has implications when clients seek to change the fonts in a finalized English to Arabic translation. If the chosen font doesn’t have the required Arabic character set, the program may display the text as blank boxes, pink squares or similar, or gibberish text. In Microsoft Word though, generally you can’t change Arabic text to a font that can’t display it. Confusingly, if you try to, it may display the new font name in the toolbar as though it has changed. But what seems to happen is it instead selects an Arabic-capable font that is similar in appearance to the font you’re trying to change to, and uses that. Often it seems to stick with the original font, so the display doesn’t change at all. This is all very well, but the problem is some less common fonts may seem OK but actually have slightly different encoding, for example for Urdu or Farsi. Using these could change some characters and result in incorrect text. It’s best to stay with more standard, widely used Arabic-capable fonts in English to Arabic translation files. An Arabic sentence starts on the right, reads to the left and finishes with a full stop at far left. Because of this Arabic text is generally right justified. This of course is the opposite to English. Some programs simply can’t handle right to left text direction. If you paste Arabic text into such a program, the result will be blank text, gibberish or Arabic text that might look Ok at first glance but is actually incorrectly displayed. Microsoft Word though handles Arabic well, and English to Arabic translations are often supplied as Word files. 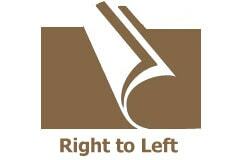 To display correctly, Arabic text in Word needs to be set to right to left text direction and right justified. Optionally, the text language can be marked as Arabic. Arabic must be set to right to left text direction to display correctly in Microsoft Word. The first paragraph is correct. The second paragraph has been right justified without changing to R-L direction and is not correct. The giveaway is the full stop being on the right, not the left. In addition, the English words have caused the word order to become hopelessly jumbled. The text as displayed makes no sense. This often happens when Arabic text is copied into an English word file, where the default paragraph settings are set for English. Ie, left to right. A full stop on the right is a clear sign something is wrong. If a page is divided into columns, the first column needs to be on the right in Arabic, not the left as in English. And in tables, the first column must also be on the right. Where English might have some text on the left with an image to the right of that, Arabic would have the text on the right and image on the left. 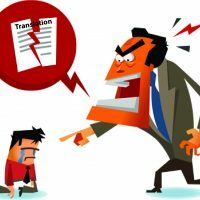 Arabic translators working with an English file and translating that into Arabic will make these changes automatically, considering them part and parcel of their translation process. So in addition to overtyping the English text, they will change the display around as needed to ensure everything is correctly laid out for the Arabic reader in the final files they deliver. 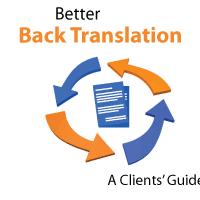 Clients wanting to subsequently reformat a finalized translation need to take care that any new layout or formatting they produce is still appropriate. And if copying translated text into another file or application, they may have to do the layout from scratch. Creating R-L layout with right justified text can be quite complex in some applications. And there can be all sorts of issues with copying and pasting Arabic text into other programs and files. We’ve seen all sorts of mistakes and incorrect display issues over the years, and I really can’t stress enough that in working with Arabic text you do really need to know what you’re doing. English words, and those of other languages that use the Latin alphabet, are often included in Arabic text, as in the example above. These read from left to right within the Arabic text, as in their native language. Again Arabic translators will ensure these are correct in their English to Arabic translation file. However 2 types of problems can arise if the Arabic text is then copied to another file. 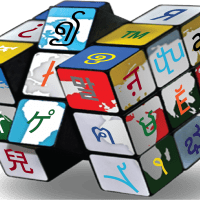 Firstly the Latin alphabet encoding can be lost in the transfer. 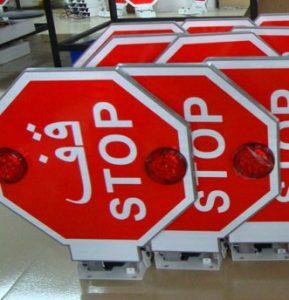 If this happens the words will display in Arabic letters, but the words won’t make sense – they’ll be gibberish. The other issue is that they may correctly display in Latin letters, but the sentence word order may be wrong. The English words might display in the wrong (reverse) order. And sometimes the English words will be correct but the surrounding Arabic words have a jumbled word order. From experience, this seems more common when the Latin alphabet words are near line endings, or flow over two lines. Whilst general text runs from right to left, numbers in Arabic text read in the opposite direction – from left to right. So a phone number for example will be read in the same order we would read it in English. Now, numbers in Arabic can be written using the same numerals we use in English, or in “Arabic” numerals – see the example below. Arabic text can use either Arabic or Hindi numerals. Which one is most appropriate for any given Arabic translation will depend on what and who the text is to be used for. Confusingly, our English numbers are technically called Arabic numerals. And what we might in general speech refer to as the “Arabic” numbers in the first sentence in the example above are technically Hindi (or Hindu) numeral­­s. In English to Arabic translation the translator must decide whether to use Hindi or Arabic numerals for a particular text. Which set is chosen will depend on the purpose of the document and the target audience. Generally a document shouldn’t mix the two. Now problems can arise when translated text is copied to another file or program. The numbers can switch to the other numeral set, or more seriously, the order of the digits can reverse, so the number is then wrong. Different programs have different ways of marking language and applying numeral sets, and anyone working with Arabic text needs to know these and ensure numbers are displaying correctly. Note: Farsi/Dari and Urdu numerals are different to Arabic’s. Care must be taken when changing fonts in these languages that numbers don’t suddenly incorrectly display as Arabic’s Hindi numerals. This is not an exhaustive list of potential display issues encountered when English to Arabic translation files are amended. They are the ones that we see and encounter most often. They all boil down to the encoding used to correctly display Arabic text being very different to that for English text, and essentially the two becoming mixed up. All of these issues can of course be readily rectified, and equally easily avoided. They tend to arise when someone not familiar with the Arabic language makes changes. We generally advise against this. Finalised English to Arabic translation files delivered by professional translators should always display correctly on clients’ computers. However there are numerous things that can go wrong when these files are subsequently edited or reformatted, or the text copied into another file or program. 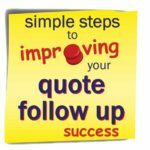 Many of the resultant errors are subtle and may not be readily picked up by the person working with the text. This is especially so if that person isn’t familiar with the language. 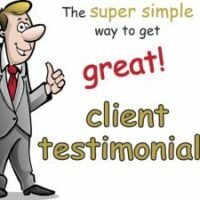 We recommend clients avoid making such changes wherever possible. And if this can’t be avoided, we’d suggest a native Arabic speaker review the amended or new files to confirm all the text is correct. 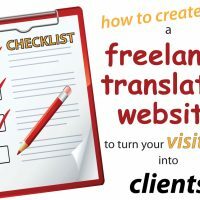 Wherever possible we recommend tasking translators with providing their English to Arabic translations in precisely the end format and file type to be used by the client or end user. This will minimize the need for further file processing, and thus avoid the types of display issues problems mentioned here.